Hey there, welcome to the last day of the June Neat and Tangled release. 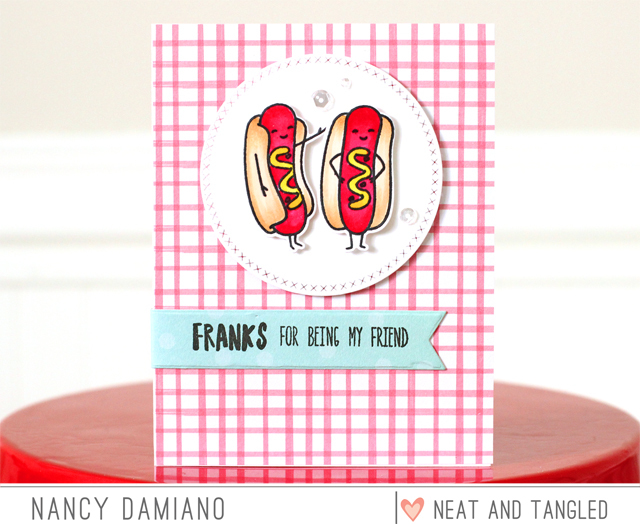 The next stamp set up is called Hot Dog and it's a whimsical pun of a set that's sure to make folks smile. 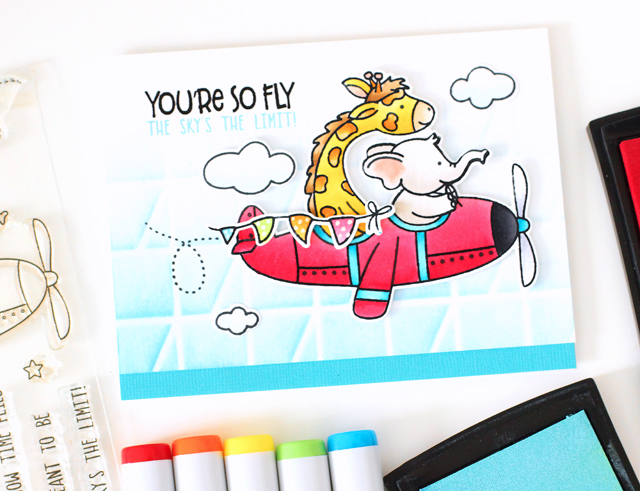 To create this card, cover the front of a white cardstock base with a red grid pattern. Next, use a circle steel die to create a frame for your hot dogs. Color two hot dog images with Copic markers and place in the center of the circle with foam tape. Use a steel die to cut a title flag out of blue patterned paper. Use the Hot Dog stamp set to stamp a sentiment in the center of the flag. Add a few clear sequins to the background for some shake! Neat and Tangled will be giving away a Magnolia stamp set on Friday. To enter, leave a comment below to be entered. Be sure to visit the Neat and Tangled blog! Hey there, welcome to the day one of the June Neat and Tangled release. The next stamp set up is called Magnolia and it a floral beauty! 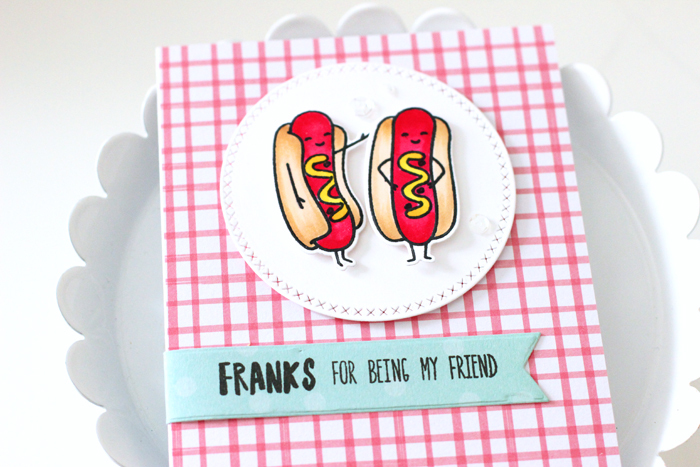 This card was created with the new June release steel die front and center. It provides a beautiful intricate background for the stamped image. The magnolia was colored with Copic markers in shades of salmon and orange. Two strips of lime cardstock tie the entire design together. Hey there, welcome to the day one of the June Neat and Tangled release. The first stamp set up is called Clearly Canine and it includes an adorable puppy steel die. This card was created by using the Clearly Canine steel die to emboss and cut a puppy image to the front of a white card base. Googly eyes and cardstock were used to bring the cut base to life. The sentiment from the Clearly Canine stamp set was used (in blue) along with a sentiment from the Hooray stamp set (black). 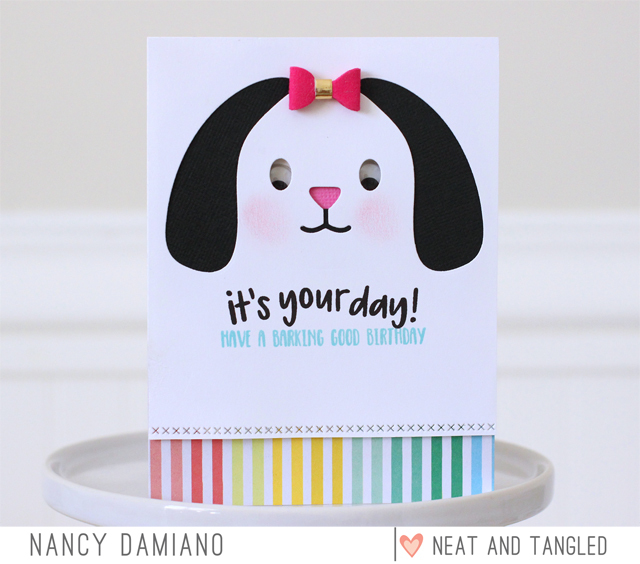 The card was bordered with a colorful stripe patterned paper and a small felt bow added to the puppy image. 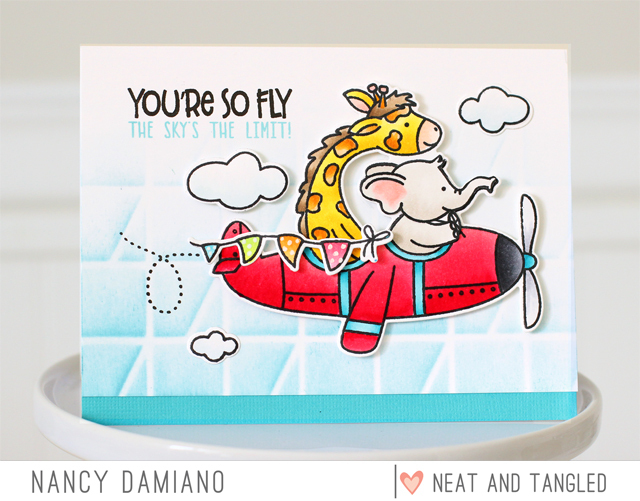 Neat and Tangled will be giving away a Clearly Canine stamp set on Friday. To enter, leave a comment below to be entered. Be sure to visit the Neat and Tangled blog!